I really didn’t know what to expect at this weeks’ pickup. With summer starting to wind down…the sniffles and sneezing starting to kick in, I was really hoping to see the start of some mega loads of beets, and maybe the odd brussels sprout or two. However, Farmer John had other things in store for us. 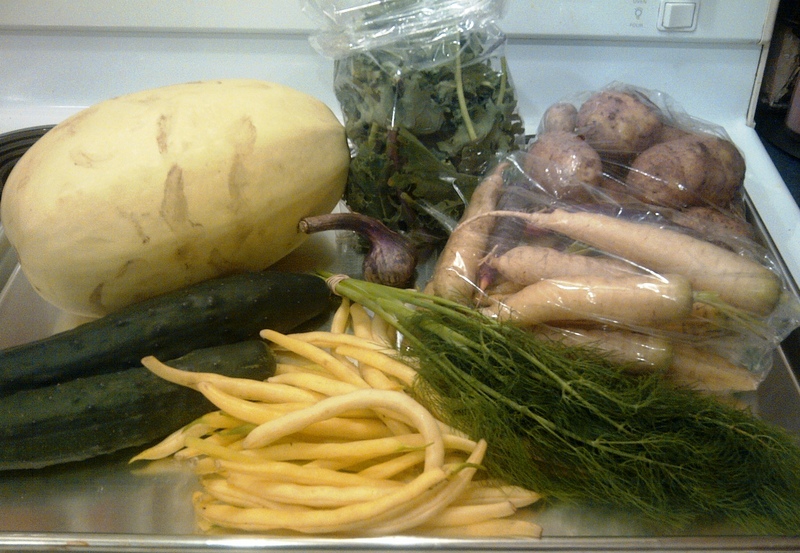 We received a gorgeous spaghetti squash, kale, potatoes, parsnips, dill, yellow beans, cucumbers and some fresh garlic. Seeing as I still had a fridge full of produce from last week, I decided I needed to make stew. Paring some hormone free beef we had in the freezer with CSA carrots, potatoes, and garlic was an easy task. The only thing we needed to pick up from the grocery store was an onion, celery, a can of tomatoes and also a can of tomato paste. Last night, we had even more CSA goodness as I made a quick pickle, steamed yellow beans and roasted root vegetables to pair alongside of Ina Garten’s delicious Indonesian Ginger Chicken. If you have never tried this recipe, you need to stop what you are doing and make it. Super easy and amazing on both chicken and pork. 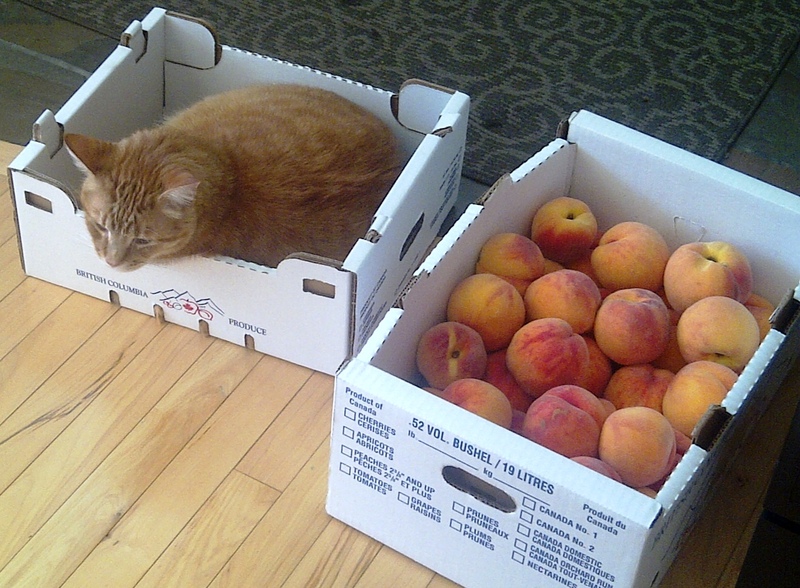 We also were blessed to receive a case of peaches and apricots from friends coming back from BC. There is something about tree-ripened fruit straight from the orchard that just beats store-bought any day. I canned some apricot halves and made a few jars of apricot jam. Peaches are ripening a little more as we speak and hopefully, we’ll have enough to can some peaches in syrup and also make a few jars of jam. Rumour has it that I may be getting lots of crab apples for free too! Adorable kitty! I’d love to know what you make with your spaghetti squash.